Some changes have been made to the way Aldus functions. PvP is no-longer allowed on this planet and the beacon has been removed; the intent of this change is to focus combat on high-end PvE engagements and make it easier for all players to collaborate in these fights. Although the planet is now PvP-free you must still pay your full drop cost and wait 3 turns to Emergency Evac from this planet. The smoldering remains of the base and the army that lay wasted beside it were just a memory now. Nothing would be left as the Sha�kahr tore it apart and melted it all down. They were ruthless killers and were rarely evaded once they locked on to their target. "Who the hell shut down our base guns?" The crew leader of Nebulous Panthers barked over the radio, his voice was thick with a southern accent and it was still a wonder where he picked it up from. "It doesn�t matter now, they�re dead and we�re alive." Slick Sloths mumbled quietly and awaited orders like everyone else. "Our lives won�t matter if we don�t get this BOM to our fallback base." Their commander said and she pressed forward while the rest stayed back until she could make sure it was a safe passage for her dwindling crews. Her Scout Sniper Meka wasn�t molded for fighting the Sha�kahr, she was there to pick off pesky bandits at a range for their salvagers. But once they showed up, she knew what had to be done. She called back what crews she could and has the technicians below the surface send up their experimental weapon so it could be escorted away. "What do you see Omee?" One of her crews asked as she spotted a group of Ground-Hogs going the opposite way and she checked all around before calling in the rest of the crews. Escorting the Bandit Overlord Meka from all sides with a Gatlinger behind and in front of it, there were twin Brightlances covering the rear and heavily modded Lightfoot Mekas leading the convoy with the Bandit Overlord Meka dead center. Moving at a snails pace. Wanting to be sure of they�re safety, their commander rushed forward to make sure of a clearing while they stayed back. Scanning the desolate horizon and recalling her crews up while the coast seemed clear and then in the distance a figure appeared. From this range her systems couldn�t register if it was friend or foe and sent the data she could collect to the rest of her crews and followed with an order to form up around the Bandit Overlord as they sluggishly arrived. "That�s a Nightstalker!" Nebulous Panthers reported as both Lightfoot�s main ballistic cannon trained on it. The long barrel protruding from the chest of each Lightfoot was overheating just from the giant sun it seemed. The incoming target�s meka of choice was a power unit that was armed with two long range ballistic cannons that were able to deal heavy damage an ruin internal systems as well. "O�Malley Seventeen of Stealth Recon?" Came through the speakers without authorization. The order to target the Nightstalker was given to who were in range. "They call me Omee," She said back and the Nightstalker came to a stop, the heat thermals rising around it. "This is a request to release that BOM to us and allow us to salvage the experimental weapon." His voice came out more like a threat then a request, being quite a distance from the Overlord, she was worried she wouldn�t be able to do anything in time though she could take well placed shots but she preferred close combat with such a devastating cannon. "Under who�s orders?" She countered and took easy steps towards the Nightstalker. Ordering the convoy to move at a controlled speed towards her while training their weapons on the new soon-be threat. "Sanctuary and Elite Resistance," Flowed through the cockpit of O�Malley�s meka and she ran a quick check up on an overhead touch screen. The two faction names appearing green, they were allies so there was no danger. The automatic disabling pin would prevent him from opening fire on them. "I hope you have a nice day, Mr. NS." She shifted her scout into a higher gear and told her army to do the same as they made out past the interloper. It wasn�t even a minute when there was a small quake under her meka�s feet. "Furry Cougar�s hit! Shield�s do-!" There was another quake and O�Malley turned to see a small mushroom cloud where one of her most trusted Lightfoot crew used to be but now was a cloud of debris and radiation. "The BOM, or both BLs next." The Nightstalker threatened and had every weapon trained on him, all green lights. There wasn�t an exchange of words as the meka�s fixed glares dug into each other and the space between them was filled with plasma and heavy rounds, missiles soaring over head and slamming down. O�Malley waited for the smoke to clear after the firing ceased. It was too thick even for the auto-targeting system and she urged the remaining units too pull away while she covered. Loading a sabot round, expecting to see an unshielded Nightstalker but instead there was nothing. With a sigh of relief she turned her meka and realized her speakers where full of static. She went to full gear and saw the flaming wreckage, managing to see her best Gatlinger pilots implode from overcharged plasma shots. Watching the crust lift and fall over purple armor and bright red eyes. There was at least two dozen Sha�kahr, the familiar scream of their queen echoing through the scout�s armor. The weapon was lost and so were her best crews, only five rounds left in the meka. No where near enough to even handle one and there was nothing left to do. Small quakes shaking the scout as it took fire, sizzling and static filling the cockpit as O�Malley sent the bad news out to the ship in orbit. Warm air rushed in as the windshield was melted by their acid weapons and O�Malley turned just as a plasma bolt hit. Eerie green filled the tight space and she ceased to exist. But the Sha�kahr live on forever. While we live in the shadows. The Return of Free Faction Construx & Slots! Free faction construx for Faction Levels are back! Previously when a faction obtained a Faction Level with a faction construx, a free construx of that type and free shared slot was provided to the faction. This feature has been re-introduced and factions which have already faction levels with faction construx have been given the appropriate construx / shared slot. Two Rynn-related achievements have been added to the game with corresponding rewards. The first achievement, Savior of Rynn, is awarded after completing 15 resupply missions. This achievements unlocks Priority Resupply missions which cost 200 Command to deploy and pay 300 Command if completed successfully. Supplies gathered during a Priority Resupply mission provide 20 extra Command (instead of 10) and are capped at 200 (instead of 100). You can only under-take one Priority Resupply mission every 24 hours and denying a Priority Resupply mission pays 200 Command (plus gathered Command). The second achievement, Scourge of Rynn is awarded after denying 10 resupply missions. Gaining this achievement increases the pay-out of additional gathered Command from denied resupply missions from 50% to 100%. Player profiles now show each player's stats for resupply missions and also list any achievements that player has unlocked. Rumor also has it that a Sha'Kahr related achievement has been added to the game as-well. Commanders, the colony of Rynn pleads for your assistance! Will you aid those in need or profit from their suffering? A new planet is now available! Survival of the underground colony of Rynn requires the support of your forces. To keep the colony alive, food and medicine must be shuttled to the planet via Supply vehicles. By paying 25 Command you can deploy with a Supply vehicle to Rynn, the colonists will then open a Hatch to their underground colony. If you are able to navigate the Supply vehicle to the Hatch your army will be rewarded with 50 Command points. 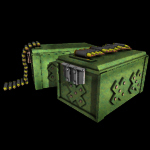 There are also Abandon Supplies scattered across the planet, these can be loaded onto your Supply vehicle to increase your reward when you reach the Hatch (+10 Command each). Although several Hatches can be open at any given time, you will only be rewarded when you reach your Hatch (you will have vision of your Hatch while deployed with a Supply vehicle). Be warned, if your Supply vehicle is destroyed by an enemy, they will gain 25 Command points. You will also lose your Supply vehicle if you Evac from the planet or your Commander is killed. Media coverage of Rynn is extremely heavy, so expect acts you take to assist or harm the colonists to be well publicized. It takes approximately 30 minutes to complete a resupply mission. Commanders, the colony of Rynn is in desperate need of supplies! Our own stocks are at critical levels and we will pay well for any help provided. Stay tuned to this channel for additional information! All players can now build Vehicles, Mods and Buildings while deployed. This can be done from clicking on the green wrench icon in the upper-left panel in the map screen. Faction War planets (Hellion & Infernus) now generate an additional percentage deployment discount each turn when the Super Node is taken. This discount is available to any players who are not in the faction or allied to the faction which currently controls the Super Node on that planet and is capped at 25%. This discount is used-up as players who can receive it deploy to a Faction War planet and is reset when the Super Node changes ownership. To prevent exploits, players no-longer receive any Command for ending their turn early, on Faction War planets, if a discount is available. The discount does not apply to units deployed from a Dropship Pad. A new reward system has been added to Facebook Achievements. Now players who are one of the top 20 New Players or top 6 PvP Players each day will receive 10 bonus Command and have their accomplishment posted to Facebook. To receive your reward, you must have your Drop Shock account linked to your Facebook account (in Account Settings) and have Drop Shock Achievements enabled. A 25 Command reward has also been added for enabling your account with Drop Shock Achievements. All players who previously enabled Achievements have already received this reward. Lastly, the mechanics for the Command pot on Dominus has been changed. The percentage paid-out every 600 turns has been decreased to 10-20%, based on the number of Nodes a faction controls. At horizon, 50% of the remaining Command pot is paid to factions which currently controls Nodes. The other 50% is paid to factions based on the Nodes they have held during the entire orbit of the planet. This provides at least some pay-out to all factions which participated in fighting on Dominus. Faction Nodes now pay a small amount of faction points each turn with a larger, increasing payout every 720 turns. Factions under 50k fp receive .2 fp per Node, factions under 100k fp receive .1 per Node and all other factions receive .05 fp per Node. Payouts every 720 turns start at 15 fp and increase to 65 fp with a 100 fp payout at Horizon (these payouts are x3 for a Super Node).